RequestBin was a great tool for testing webhooks. At Polydojo, the tool helped us roll our form-to-webhook integration; and sometimes, we even used RequestBin while doing demos for fellow devs. 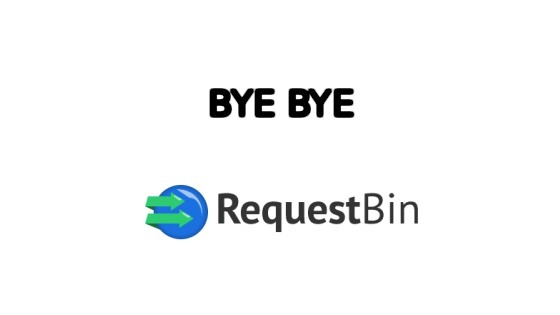 We have discontinued the publicly hosted version of RequestBin due to ongoing abuse that made it very difficult to keep the site up reliably. Please see instructions below for setting up your own self-hosted instance. One could still self-host RequestBin; and that is pretty sweet. But when you're tasked with setting up webhooks, do you really also want to be in-charge of provisioning the webhook-testing infrastructure? Webhook Inbox is created by the folks at Fanout.io. Includes live reloads and a beautiful UI. We've found the tool to be very reliable. Hookbin, by the creators of Kraken.io. Seems to include live uploads, but we were often unable to inspect requests. UI could be improved, but UX is awesome. Live reloads, pretty-JSON option, header-hiding etc. UltraHook, created by the folks behind Enchant. A tool for testing incoming webhooks on localhost. Involves a ruby gem and an API key. Neat set of utility endpoints that'll prove useful while developing your next project. Today, most websites and blogs have contact forms. But unfortunately, only rarely are well made. They tend to be long and dense. Sometimes, they don't even work. In this blog post, we'll discuss how you can build forms that are easy to fill. We'll talk about building a contact form for your website or blog. Contact forms can serve as import lead generation channels; and when implemented correctly, they can considerably boost sales. Thinking about our own needs comes naturally to us. When it comes to contact forms, businesses tend to many questions. They may ask for the prospect's name, address, industry, company size etc. From the business' perspective: more questions ⇒ more information ⇒ greater chance of closing more sales.